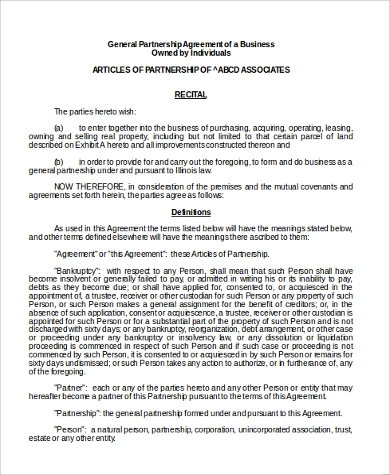 General Partnership is the relationship or the formal term for the relationship shared by two individual entities who come together to share responsibilities and liabilities concerning their common interests and purposes towards their clients and customers. 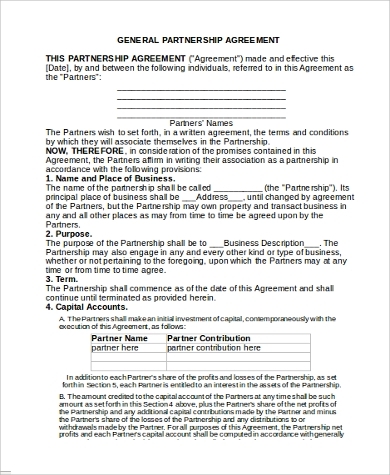 General Partnerships are legalized with agreement statements. 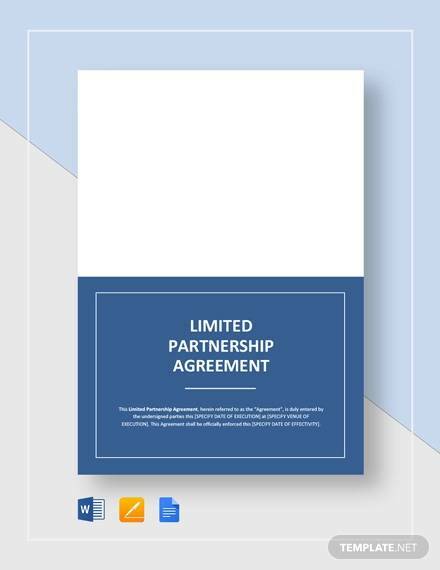 The Sample Agreements which are available for free, act as an outline for the partnership authorities to formulate and design the agreement which will be apt for their requirement and purpose. 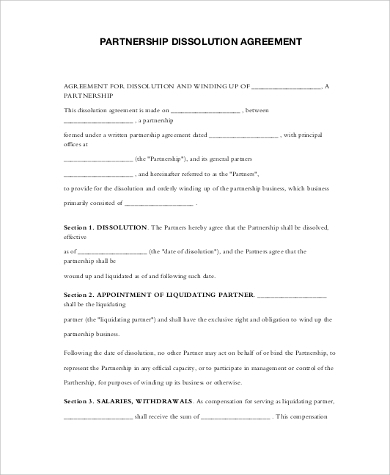 Just like an official document has to be drafted before initiating a general partnership, sample general partnership dissolution agreements are essential in the procedure of winding up a partnership officially. 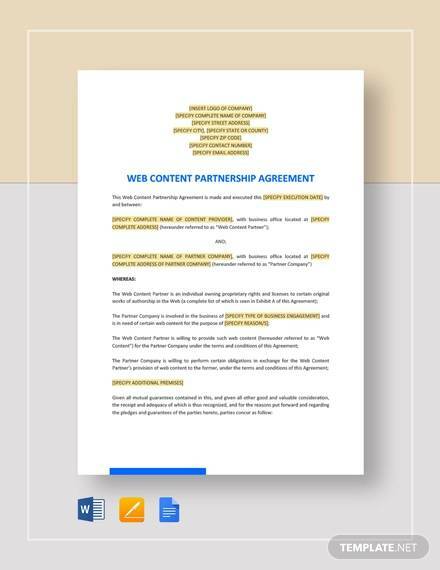 General partnership Operating Agreement is a document, drafted and signed by concerned authorities participating in a partnership that includes all the definitions and policies concerned with operations of the partnership. 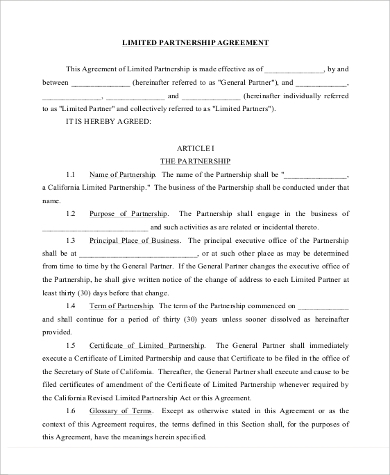 A general limited partnership agreement is drafted for a company limited formed by a partnership of two individual entities and includes name, the purpose, place, certificate, and term of the partnership. General Partnerships are formulated at more than one type of interest areas and is defined by the agreement of two or more individuals or companies that agree upon working together at the common base of interest where either of their purposes and objectives intersects. 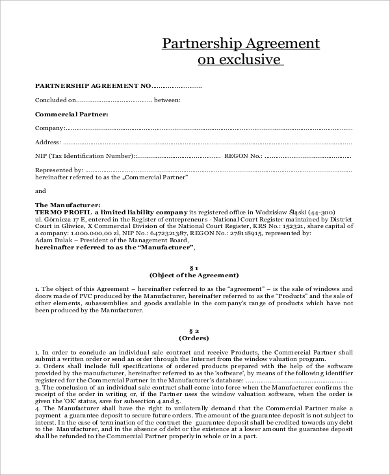 The general partnership requires an official document that has to be drafted by the legal authorities of either of the companies and has to be verified and discussed upon by the partnership signing authorities before moving ahead with the partnership. 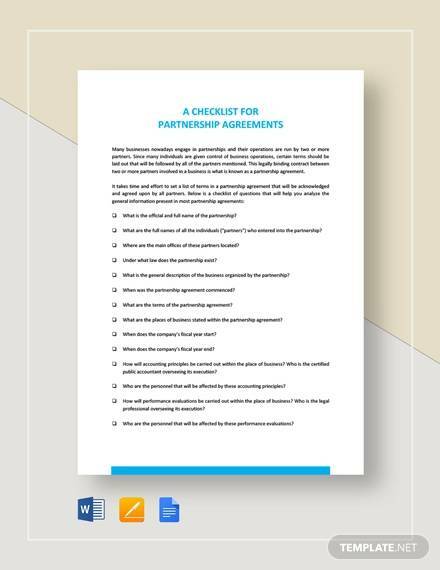 To keep a check on proper designing of these documents, General Partnership Agreements Samples are required. 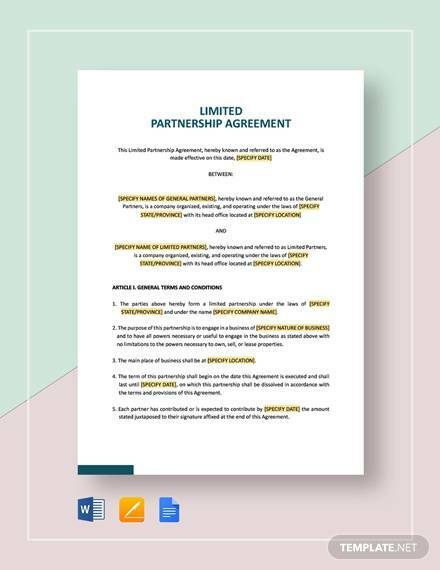 For maintaining transparency in the partnerships that are involved in the horse race course processes such as buying and selling of horse, sample horse partnership standard agreements are formulated. 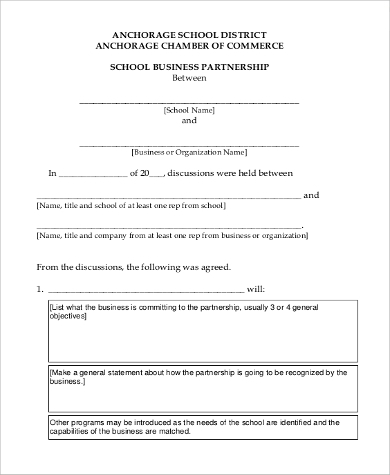 General business partnership agreements are essential when entities join as business partners. The agreement may not be legally bound but is important for maintaining clarity of policies between the parties. 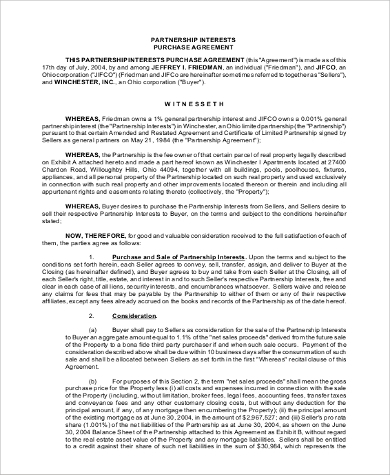 The general partnership agreement is defined as the official procedure of initiation of a formal relationship between two companies or entities. This helps in deciding to share their assets along with their financial liabilities with each other to put up a highly efficient and precisely developing network base that puts up with the demand of the market and their common interest base of customers. 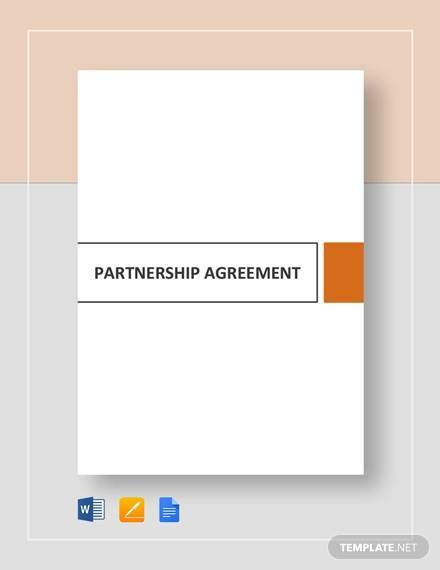 A General Partnership Agreement is essential to maintain transparency among the concerned authorities regarding the term, and purpose of the partnership along with the agreement statement stating financial account details which are inclusive of the partnership. 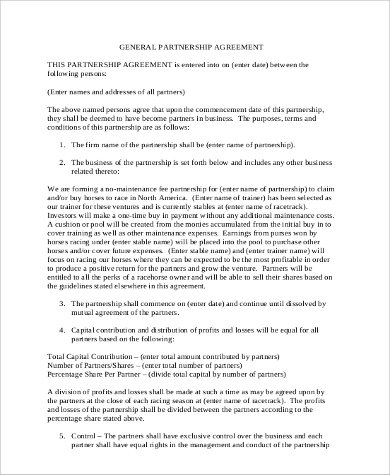 General Partnership is thus a procedure of joining two entities or two or more individuals for a common purpose of serving their intersecting customer base. 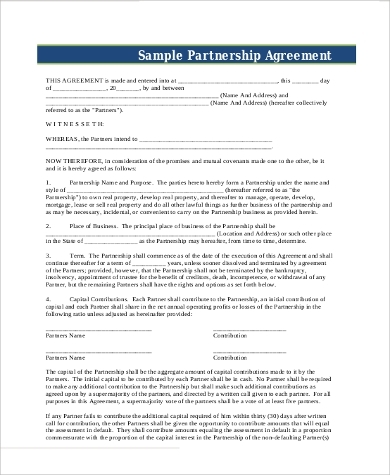 The sample business partnership agreements outline the standard layout of a formal document. 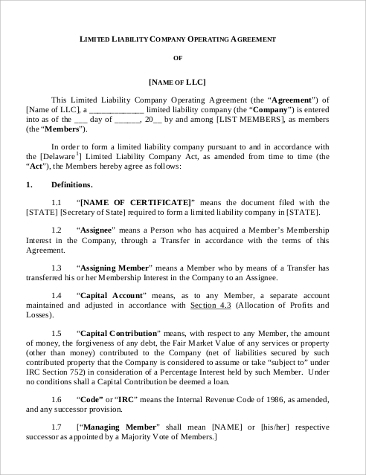 Sample Non-Disclosure Agreements in PDF are available to be used as a guideline.